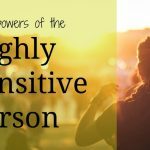 Are you a highly sensitive person? If so, I’ve got your back because today I’m sharing 7 daily habits to cope and thrive as a highly sensitive person (HSP). Before I do, let’s make sure we’re on the same page about what exactly an HSP is. When you’re highly sensitive, your brain is more easily overstimulated. This means that you tend to get overwhelmed by loud noises, crowds, busy environments, and strong fragrances. You are also empathic, so you feel the emotions and energy of others. This, too, can overload your senses and lead to overwhelm. It can be really challenging being a highly sensitive person in the extrovert-centric, busybody world we live in. 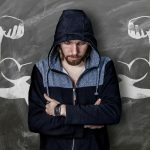 Thankfully, over the years, I’ve learned habits to cope and play on my strengths as a highly sensitive person, and I’m going to share them with you right now. 1. Start your day in solitude. Starting your day in peaceful silence is the best way to fortify yourself against overwhelm. This daily habit also quiets your mind, so that you experience less anxiety and worry throughout the day. Not only that. The more you can reduce stimulation first thing in the morning, the more mentally sharp and focused you’ll feel for the rest of the day. Try beginning your day by meditating, journalling, or simply sitting in silence as you sip a cup of herbal tea. 2. Say no to sh*t you hate. A good question to ask yourself as you practice saying ‘no’ is, “does this activity align with my core values or goals?” If you’re doing something purely out of obligation, or habit, it might be time to get on the No Train. 3. Be a one task master. Many of us have been told that multitasking is the Holy Grail of productivity. But if you’re highly sensitive, multitasking is a one-way ticket to overwhelm and frustration. Because here’s the thing. The mind of a highly sensitive person is already susceptible to overload. Trying to do too many tasks at once will make you feel mentally fragmented. You will accomplish more when you eliminate distractions and bring your full attention to one important task at a time. Put your phone on silent, shorten your to-do list, close the door, and be a one task master. Exercise is a key way to reduce anxiety, and fortify yourself against physical and emotional overwhelm. You’ve probably already heard that yoga is a great way to calm your mind, and reduce stress, and I couldn’t agree more. However, any form of exercise that you enjoy will help you to cope and thrive as a highly sensitive person. I like to exercise at home or outside using YouTube videos, and Gaia.com, which is like the Netflix of the yoga world. I also do HIIT workouts from Sarah’s Day’s Sweat It To Shred It ebook. A cluttered space leads to a cluttered mind. That’s why I’m a firm believer in minimalism. I admit that minimalism is not for everyone, but if you’re introverted and highly sensitive like me, less really is more. Removing unnecessary items from your space will reduce overwhelm and make you feel more calm and clear-headed. A lot of people don’t realize that when you’re highly sensitive, you’re also more sensitive to certain foods. Caffeine and alcohol can have detrimental effects for HSPs. After working with hundreds of introverted students and clients, I’ve also noticed that many of those who identify as HSP are also more sensitive to sugars, chemicals, and processed foods. If you are highly sensitive, I strongly recommend that you remove processed foods, refined sugar, and caffeine from your diet, and replace them with living foods. Eat as many raw and lightly cooked fruits and veggies as possible. Eating living foods will raise your energy levels, clear your mind, and protect you from overwhelm. 7. Create a special bedtime routine. The way you start and end your day can make all the difference when you are highly sensitive. Proper sleep helps HSPs to better cope with emotional and environmental stimulation throughout the day. Put your devices on airplane mode, or out of reach. Do some relaxing bed yoga. Set a timer and meditate for 5 minutes. Close your eyes and visualize your favorite moments from the day. Read a chapter from a good book. I hope you found these tips helpful! If you enjoyed the video, remember to give it a like, and to subscribe, as it really supports my channel! What are some of your daily habits to cope and thrive as an HSP? Please do share in the comments below, I’d love to hear from you! Love all the 7 insights you shared Michaela! Another marvelous vlog. 🙂 Oh, and the fortune cookie gave a good thought. 😉 Wonderfully done, great vlog! I particularly agree with #6. It’s good advice for anyone, but the degree to which I’m detrimentally affected by caffeine, alcohol, medications and food additives is staggering. 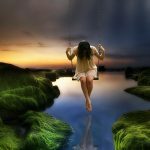 I’m not sure, but I feel that a lot of it may stem from self-awareness making the changes to self that result from an intake-induced altered state excruciatingly obvious. KNOWING that I’m altered in behavior, boundaries, coordination, values etc. is a really uncomfortable thing. 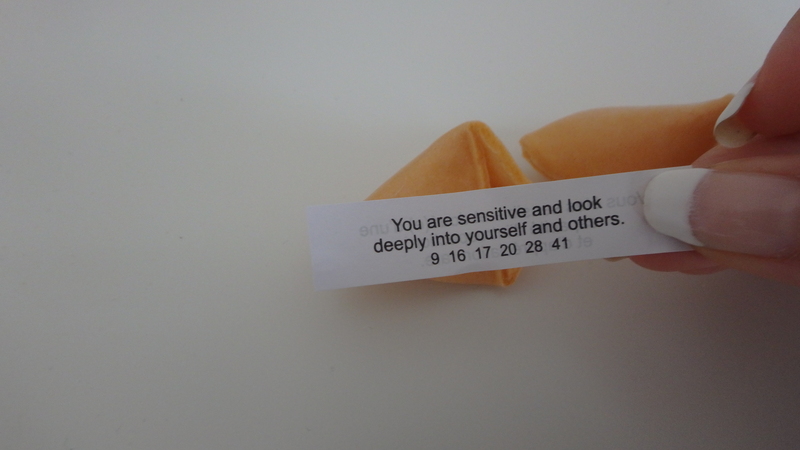 I really love that you’re out there tenderly urging us to feel better in our introverted ways! 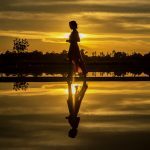 Michaela – this post is awesome for someone like me just figuring out that I am an introvert and HSP. All of the things you posted here are like bells going off – ding ding ding!!! I have spent my whole life trying to figure out why I am so different and trying to conform. Instead I need to give myself a break and try a new approach to life. I have recently left a 23 year career with a soon to be ex-husband and moved hundreds of miles away where I know virtually no one. My mind was just going nonstop and this has allowed me to just breath. As I pick up the pieces I need to figure it out the correct way for me to be successful in life and this article makes perfect sense. Thank you. Bravo. BRAVO. Rise into your authentic life, sister. Hi Michaela, this was a really interesting video for me. I hope to implement these tips! One challenge for me is to navigate around others in my life to achieve more time to quietly reflect. Love every article!!! Your thoughts and information confirm it is o.k. to be an Introvert in this Extrovert world. Lovely advice, especially for the morning and evening. I find that when I allow myself to wake gently, sit well supported in bed, allow myself to appreciate the preceding night and morning, read something nourishing, and drink something gentle and warm, I am then prepared for most anything. Not everyone can do that, but everyone can do something that nourishes them first thing. Before bed, my husband and I (or I alone) go outside and take in the goodness of the stars, the rain, the snow, whatever presents itself. I go to bed appreciating a safe and comfortable place to sleep. Thank you, Michaela! Those are great tips. Once you realize you’re an HSP, it’s helpful to take steps to manage too much stimulation. I find getting a good night’s sleep is key. Also, doing slow forms of yoga such as restorative and yin can bring some much-needed calm and quiet into our busy lives. Hi, Michaela! As always, this was an inspirational, helpful, & informative column & vid. You’re just super, and, I so appreciate your blog/vlog. I, also follow, and, recommend, that which you said. I find that even if I have a particularly demanding day, meditating, for even a few minutes, several times during the day (especially in the morning, at midday, and, prior to bedtime), is very clarifying, calming, & centering. The only comment in the article, about which I’d like to comment is that about editing one’s life, “frequently and ruthlessly.” Although you were citing a quote, considering that, sadly, there are so many ruthless people in this world (who seem to be minimally empathic, at best), if I may be so bold as to put forth this suggestion, perhaps, “frequently and thoughtfully, insightfully, and judiciously” might be a gentler way of successfully accomplishing said task (and, in a way, or, a context, in which we innies can feel better & more comfortable). No matter what, ’twas a wonderful read/view, as always! Thanks for championing our cause, and, contributing suggestions & practices which may help us to live more healthful & enjoyable lives. The world is a better place for having people such as yourself in it! Excellent advice, Michaela. Well written and presented. Thanks for the great tips, Michaela. Definitely have to try some of those. I’m curious, can we be Extrovert and HSP in the same person? I think I’m an Extrovert because I love being with others but I prefer 1-1 and I hate being in loud environment. Recently I noticed that I prefer to communicate with Introvert than Extrovert because of their slower pace make me feel comfortable. I too need a slow-down activities before bedtime after an intense day. I loves to read a book or write down my day to calm myself. Hi Nat, yes, you can definitely be extroverted and HSP. About 30% of HSPs are extroverts. 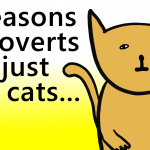 I love all the articles about HSP and being an introvert. But they are never written for people with kid(s). Sure I want to start my morning in complete solitude. But as a single mom I dont have that option. I am completely drained. I would love to read how HSP and introvert (single) parents deal with it all. These are spot on. Wholeheartedly agree. Doing some better/more consistently than others, but yes. And for the most part they’re easy because I crave them. Great confirmation!